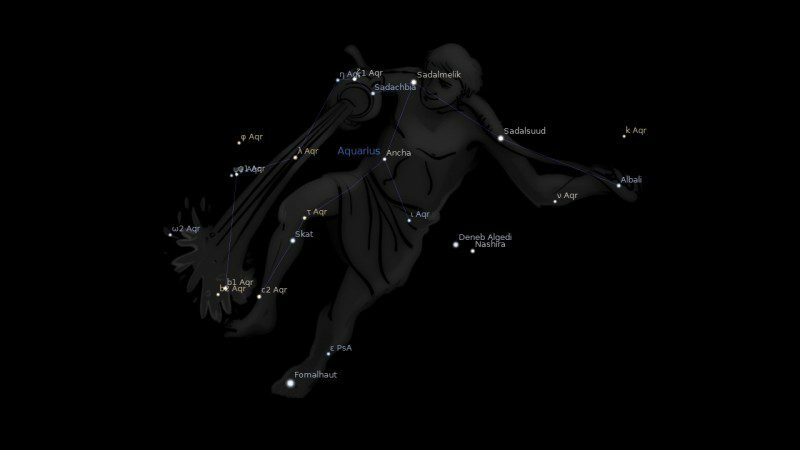 Fixed star Albali, Epsilon Aquarii, is a 3.8 magnitude star in the left hand of the Water Bearer, Aquarius Constellation. The traditional name Albali comes from the Arabic word البالع (albāli‘) which means the swallower. Another name for this star was Nir Saad Bula, from the Arabic term نير سعد ألبلع (nayyir sa’d al bulaʽ), which means the brightest of luck of the swallower. The Latin translation is Lucida Fortunæ Dissipantis. There may be an influence from Neptune as the helio planetary South Node of Neptune is only 0°03′ from Albali at 11°46′ Aquarius. 1. Fixed Stars and Constellations in Astrology, Vivian E. Robson, 1923, p.28. 3. The Living Stars, Dr. Eric Morse, 1988, p.109.